If you want to live a satisfied and fulfilled life, gratitude should be the way to choose. Build an attitude of gratitude by consciously paying attention to the valuable things that we usually take for granted. The biggest thing we take for granted is "the Creator" the Lord, thanks to whom, everything in the universe is functioning. 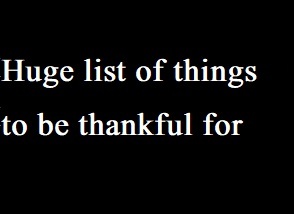 And let's be thankful that God is generous, merciful and appreciative. Without His mercy, life would not exist. Water, rivers, seas and lakes would run dry. Oxygen would disappear from the air and life would come to an end immediately. Earth would lose its gravity causing everything existing on it falling apart. Food would vanish. Animals, plants, leaves would die.